I like to make my own draft classes in the game. Usually I edit players in the upcoming draft so that there are at least 2-3 superstars to choose from. This keeps associations fresh and gives me something to live for in the case that I get stuck with a terrible team. By the way 2K, you need to fix your draft algorithms. The number 1 pick should *not* be a 72 overall rated player in *every* draft! Spice it up a little! One time I made a 7'6" 350lbs center with the highest speed and quickness ratings you could give a player. Needless to say, the team that drafted him went on to win several championships. You could say that this is unfair, but I see it as being much how the actual NBA is. There's always a transcendental player that comes along and wills a team to multiple titles, it's just the way it is. The fun, for me, was in trying to assemble a team to beat this 7'6" menace. The closest I got was with a squad composed of Kevin Durant, LeBron James, and Chris Paul. Even still, I lost the series, mainly because my interior defense just could *not* handle the uncannily swift giant playing on the opposing team. I didn't have the cap space to re-sign those three stars (obviously), so I tanked a season and got a high draft pick. I reloaded around this guy, who was basically a younger, faster, taller version of Kevin Durant, and tried my hand once more against the center from giant land. We were crushed in the playoffs, 4-1. I suppose it didn't help that said monstrous center had been drafted by the Spurs, who, in 2K, much as in real life, are run and coached insanely well. They had surrounded him with four great three point shooters, including Stephen Curry and James Harden, which made it impossible to defend everyone. Even when my Durant-clone would go off for 60 points, we'd still either lose or end up ahead only by a nose. As of today, I am still playing that association. I got rid of the Durant-clone and tanked another season, acquiring another high draft pick, which I used on another superstar. Boy did I feel lucky to have him fall into my lap, as he's insanely good. So good that he might be too good, actually. He averages nearly a triple double, at 35 points, 12 rebounds, and 8 assists, and basically wills my team to victory each and every night. Will it be enough to take down the 7'6" monster and his entourage of deadeye three point shooters? I am unsure. I beat his team twice during the regular season, but, as they say, the playoffs are an entirely different ball-game, and I've already lost there with stacked teams in the past. The problem really is that the Spurs keep acquiring top flight talent with which to surround their prized center. They have a 99 overall PF who plays like a hulked out Blake Griffin, a 99 rated James Harden who never misses a shot, and several great roleplayers. My team isn't shabby, what with its god-like superstar averaging a triple double, but it's still not as loaded as the Spurs. Not to mention the fact that there are several other teams in the league filled with 90+ rated players, a consequence of playing an association for so long that the numbers get a bit bloated and out of whack. Anyways, you can see by my rambling above that I let my imagination go a little crazy when playing NBA 2K games. I have a habit of creating these scenarios in my mind, such as that of trying to defeat the 7'6" behemoth, that keep the game fresh even a year and a half after it's release (I play 2K13 in case that wasn't obvious). 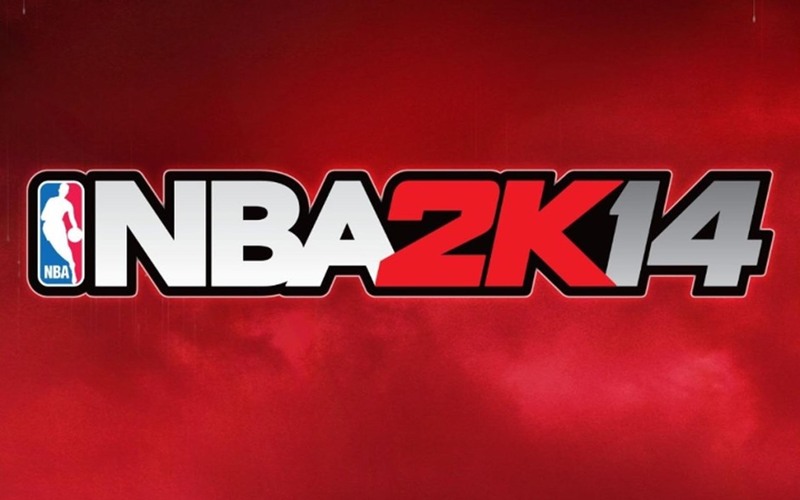 If you like basketball, or like the idea of running your own NBA team, the 2K games are amazing. You really feel like you control the destiny of your squad, and that your decisions matter. I know this first hand, as I've broken many teams with wayward trades and bad contracts. At the same time, I've led many organizations to victory with forward-thinking and a painstaking attention to detail in regard to piecing together the most efficient and logical combinations of talents and skill-sets. That's it, for this second at least. If I ever beat the 7'6" terminator from hell, I'll be sure to let you all know!